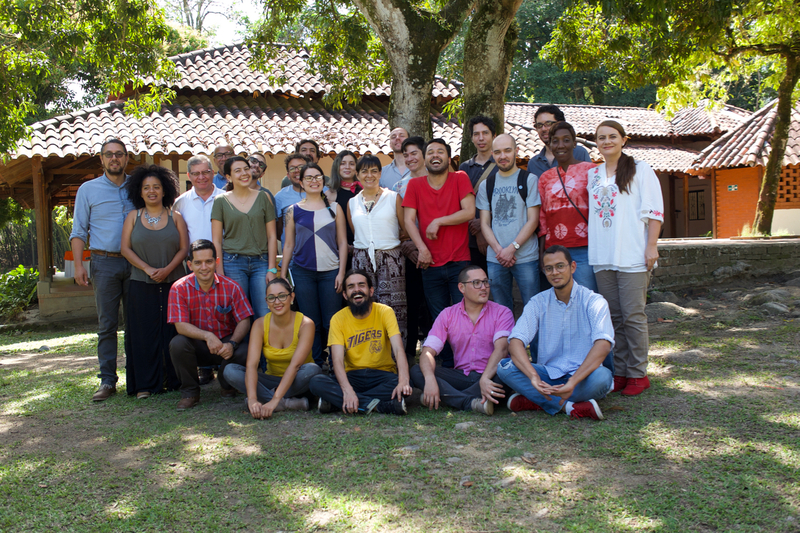 We recently completed our third and final StoryLab Research Network workshop at the University of Ibagué in Colombia. We had a fantastic engagement from filmmakers and writers from across the country; in fact more than any of the other workshops, participants had literally travelled from the far corners of Colombia to attend the workshop. As with the other workshops, the stories that participants created during the workshops were rich and varied and the discussions stimulating and exciting. Participants ranged from the very experience to the more novice and the age range was wide. Across the three days, we were able to explore everyone’s stories and to explore themes and approaches to story development that hopefully participants will find useful. As a research team, Professor Erik Knudsen, Dr Nico Meissner, Dr Carolina Patiño and Sarah Kuntoh gathered a substantial amount of data from this experience, including the fact that all activities, as with the other workshops, was filmed. We also want to acknowledge the contribution Susana Ortiz Obregon made to this workshop. Across the three workshops – StoryLab Colombia, StoryLab Ghana, StoryLab Malaysia – we have built a community of around 50 independent filmmakers. This is a unique network that connects communities who would not normally be connected and it provides us with unprecedented opportunities for further work and collaborations. We now start work on the final stage of this part of the StoryLab project, which is to arrange a symposium at the University of Central Lancashire in the UK. This symposium will allow the research team to bring together a further community of academics, filmmakers and funding partners, as well as our community of filmmakers from three continents, to explore the findings of the project and to launch a new and much more ambitious stage in the evolution of the StoryLab Research Network. More on this to follow in due course.